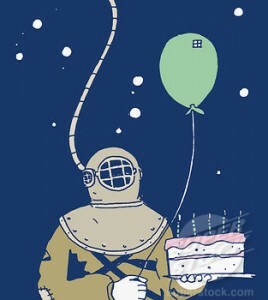 Florida Keys Dive Center recently celebrated 29 years in business on May 10th! A special thank you goes out to everyone who wished us a happy birthday and to everyone who has helped us and been there for us in these 29 years. We never could have made it this far and become such a success if it wasn’t for the support of our friends, family, and fellow divers and snorkelers. 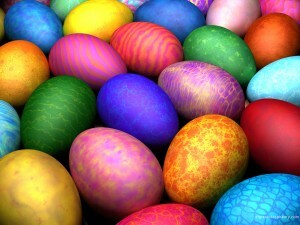 Please call us in advance to book your space, there will be an easter egg hunt on both morning and afternoon trips. Want a picture on the reef with the Easter Bunny? We’re doing that too! Must reserve in advance. call us 305-852-4599 or email us scuba@mykeysdiving.com to make reservations. We went to two amazing reefs today Davis Ledge and Hens and Chickens. Everyone is enjoying the weather and the amazing dives we are having! Come enjoy it with them. Congratulations to Scott and Zach Provin on becoming PADI Open Water Certified Divers! We took a trip out to “Spankey’s” and Capt. Pete’s Reef yesterday. What an amazing afternoon of diving! Great visibility and tons of life. 7 nurse sharks on Pete’s and some beautiful life at “Spankey’s”. The grunts were so heavy at Pete’s you could barely see parts of the reefs. Congratulations to Joe B. from Canada on earning his PADI Open Water certification.